Ever wondered why people get stuck in the same kind of relationship over and over again? Or why certain love-drama’s keep on repeating itself? The upcoming book “GLOBAL AWAKENING PART 2: The next step in human evolution” wants to enlighten you about these and other universal questions. The following chapter gives deeper insight into the mechanics of karmic relationships. 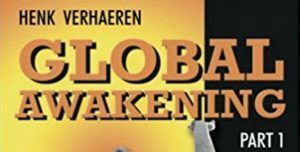 It’s a preview from the second book in the Global Awakening series from Henk Verhaeren aka The Master of Destruction, who helps people all over the world to integrate their awakening into daily life and relationships.